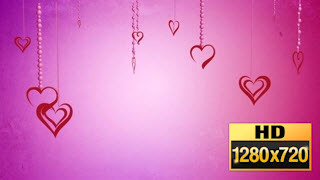 Romantic HD Video background featuring heart ornaments on peal strings. The background has a pink slightly dreamy look to it. This video is also suitable for any Valentine’s day, Mother’s day, or promotional material that needs some extra love in your project.